← Every little moment has potential for something great. 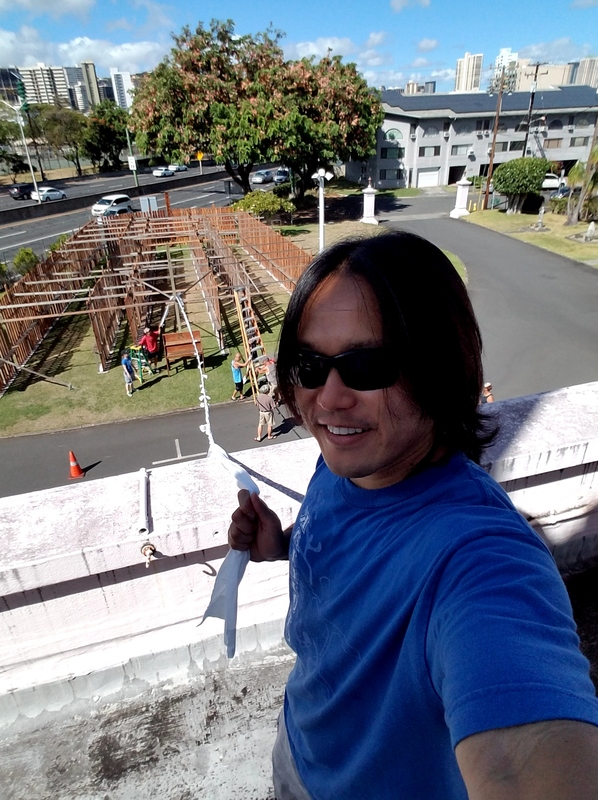 I did some volunteer work to put up the otoba for obon for Jodo Mission of Hawaii on July 9, 2018 from 8:00 A.M. to 10:00 A.M. We always pray to our ancestors, but obon is a time when we have special services and bon dance to celebrate our ancestors. The long white cloth is connecting the temple with our otoba or wooden plank with ancestor family names. I will chair the Board of Directors meeting at 11:45 A.M., which is part of my duties as President.